The open letter appeared in today's New York Times. Today Fridababy, the company behind the NoseFrida, a snot-sucking device for infants, put out a plea to Meghan Markle in the form of a full-page New York Times ad. Since the days of Princess Diana, it’s become something of a tradition for royal women to stand on the steps of the hospital where they have just given birth (usually, the Lindo Wing at St. Mary’s Hospital in London) so their new little royal can greet the public for the first time. It’s a ritual Catherine, the Duchess of Cambridge (also known as Kate Middleton) has continued throughout the birth of her three children at an astonishing turnaround: Just over a day after giving birth to Prince George in 2013 she was on the steps, while after Prince Louis and Princess Charlotte’s births in 2018 and 2015, she was outside mere hours after giving birth. 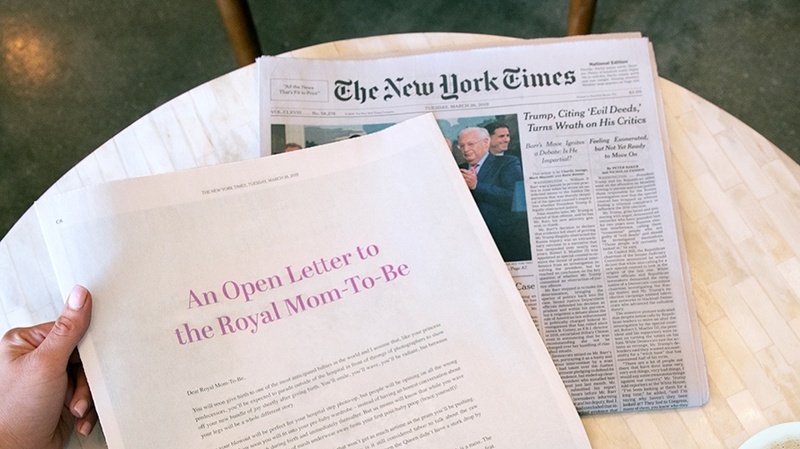 The ad, which begins “An Open Letter to the Royal Mom-To-Be,” asks the Duchess of Sussex to skip the traditional royal baby post-birth photo op on the steps of the hospital in order to help fuel a dialogue around the physical recovery period women go through after giving birth. “Sure your blowout will be perfect for your hospital step photo-op, but people will be opining on all the wrong things—like how soon you will fit into your pre-baby wardrobe—instead of having an honest conversation about what women go through during birth or immediately thereafter,” the letter, written by Fridababy CEO Chelsea Hirschhorn reads. 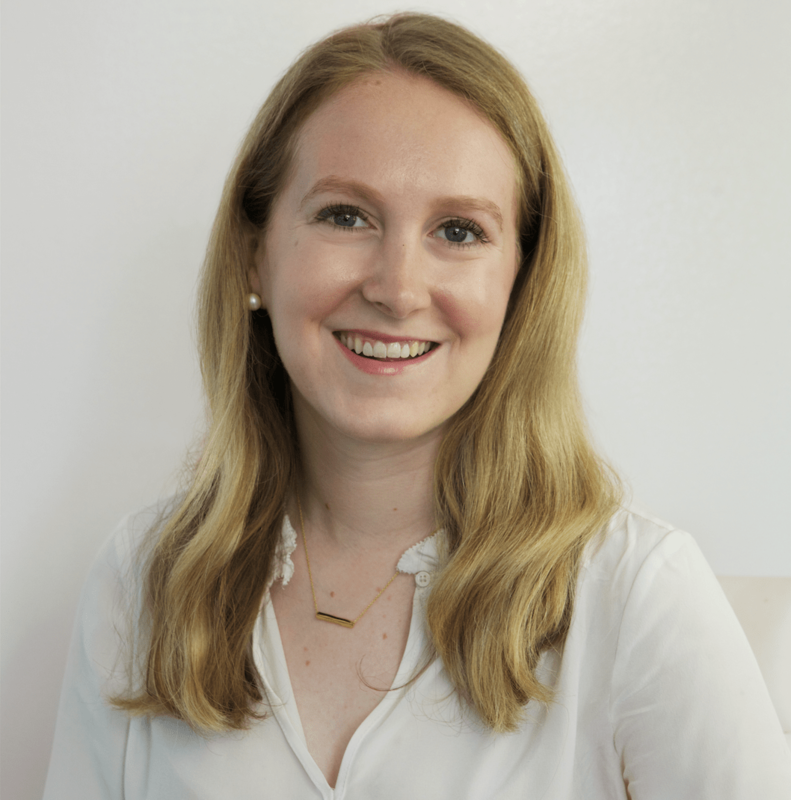 Banking on Markle remaining a loyal reader to American papers, Fridababy decided the New York Times was the best platform for the letter to run in order not only to reach her but a substantial audience of women. The hope is that the letter will help to change the conversation around post-birth expectations. Hirschhorn said that appealing to Markle in particular makes sense because no woman gives birth with the world watching quite like a royal does.